Life at the Link is all about quality and convenience. Designed meticulously by our project designers with the needs of the residents in mind, the facilities at The Link define good quality living for the whole family. The children could enjoy children playground or children’s pools. The swimming pool, fitness center, tennis courts are the perfect solutions or distressing and rejuvenate one’s mind and body, or just relaxing and indulge in the facilities. The visually beautiful landscaping and gardens surrounding The Link will awaken your senses. The Link surround by vast gardens, stunning landscaping, children playground, beautiful golf (proposed) views, even the lobby entrance and the lobby areas exude a sense of comfort and coziness. The sceneries around are captivating, vast green belts or the beautiful greeneries from the golf course next, or just looking closed by spectacular sight of the grand main gate of the complex. Designed to meet the highest expectations of amenities and ambience, The Link delivers combinations of modern stylist structure facilities that define quality living. The Link consists of is two complexes of 2 and 3 towers. The towers are 20 storeys high, each tower contains 118 unit, typical floor plan of 6 units per floor comprising of 2 bedroom (114m2) and 3 bedroom (154m2) apartments with the introduction of the Premium Apartment (267m2) facing the proposed golf course and lakes. 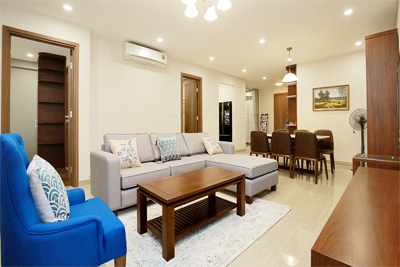 The Premium Apartment are specially designed condominium with full height glass windows provide a stunning sense of space and spectacular views of either the pool, the golf club house and or the Ciputra Hanoi International City’s main gate areas. The design is clean, modern and timeless. 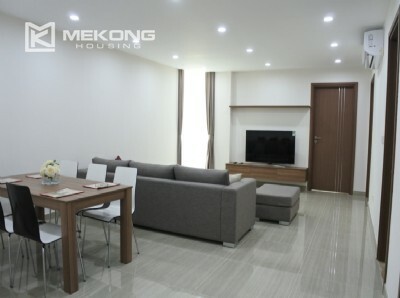 This aparment is well designed with 3 bedrooms, 2 bathrooms, a spacious living room and a separate kitchen. 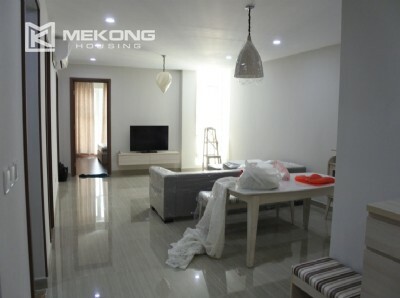 it is provided with modern and high quality furniture, all in excellent condition.